The General Overseer of the Royal House Chapel International says the 2016 general elections will go down as one of the most peaceful polls in Ghana's history. 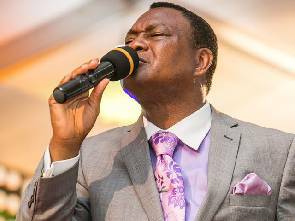 According to Apostle General Sam Korankye Ankrah, in spite of the differences and acrimony that would characterize the choosing of a President and Members of Parliament the peace and serene atmosphere the country has been enjoying over the years would persist. "Ghana is a nation the Lord has blessed and He (God) would protect us from the hands of the devil," he said. The man of God told was speaking to a gathering of Directors at the Eastern Region Coordinating Council where he had gone to pay a courtesy call on the Regional Minister designate. He however warned: "Despite the hand of God stretched on Ghana the citizenry must be prayerful to conquer the devil’s plan of splitting the country". Eastern Region Minister designate, Mavis Ama Frempong, commended the spiritual leader and Royal House Chapel for their immense contributions to the development of Ghana. She was full of praise for the church for converting souls for Christ and at the same time implementing social initiatives. 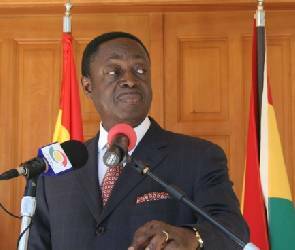 The Apostle General as part of his 3-day ministerial visit to Koforidua will hold a crusade to win souls and heal the sick. His ministration will also take him to the Koforidua prisons. The church will conduct free medical screening for inmates and assist them get medical attention. His visit to the Commander of the Koforidua prisons, Assistant Director of prisons, Benedict Bob-Dery opened the gates for his ministration to inmates.